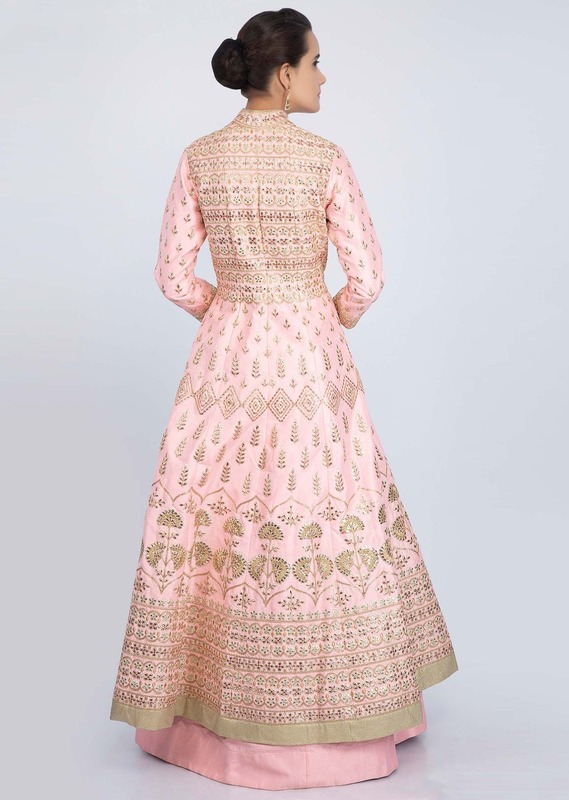 Powder pink raw silk embroidered long top . 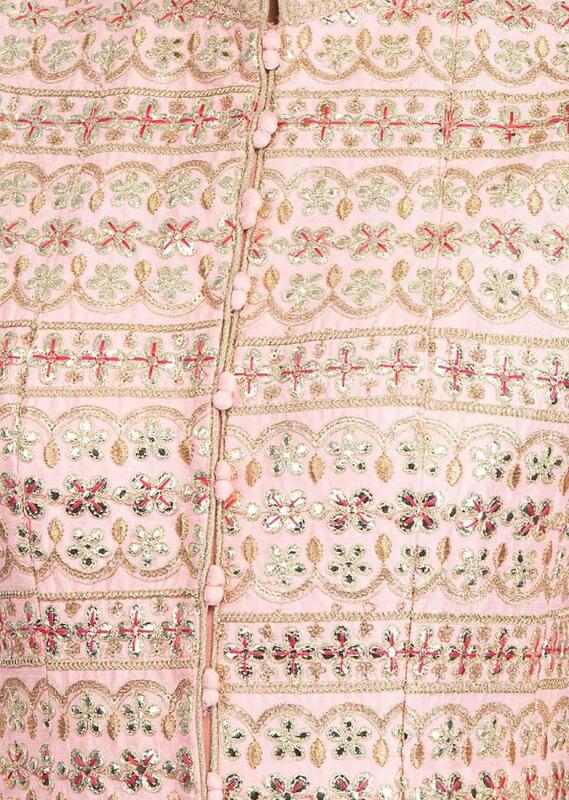 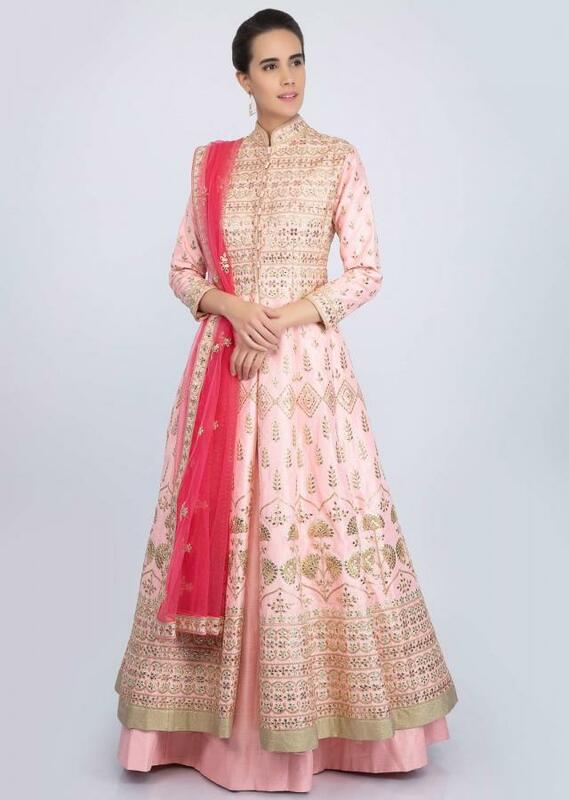 Embellished in gotta patch, zari, thread and sequins embroidery on the bodice and hem and in butti at the center. 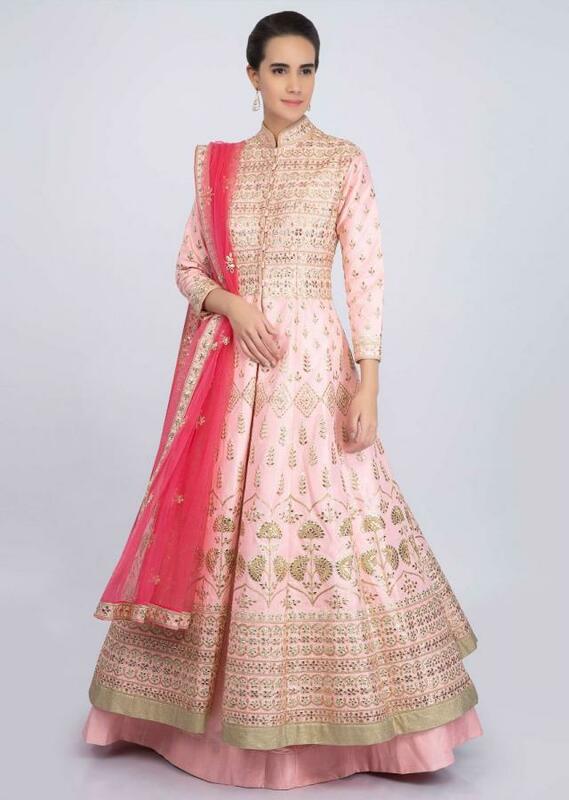 It comes with a long raw silk flared lehenga. 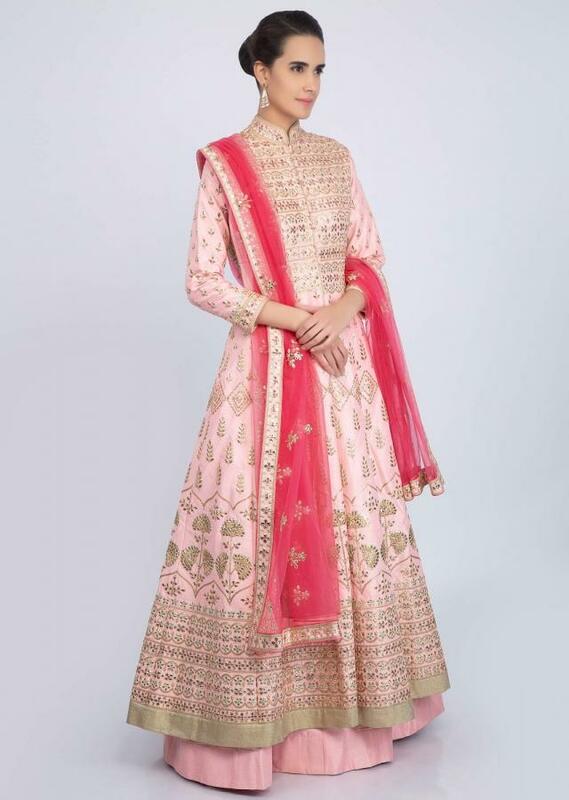 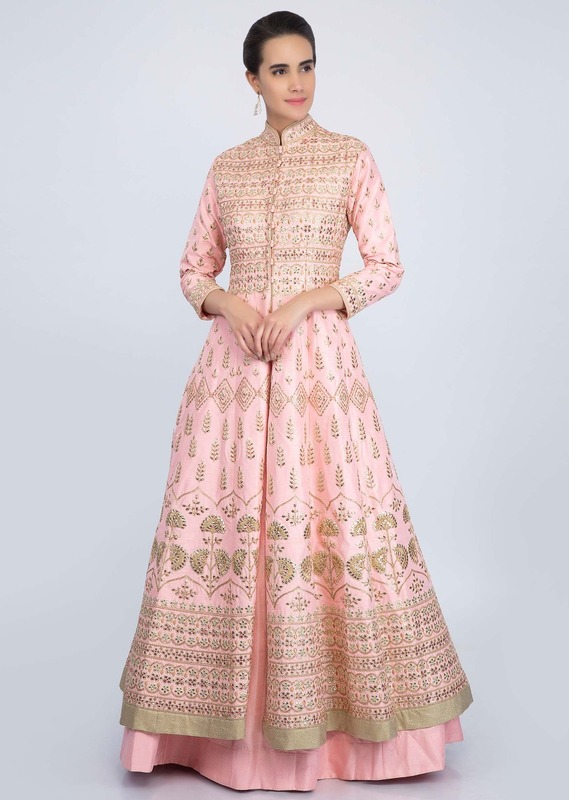 Paired with a contrasting punch pink net dupatta with butti.